Playing bartender at your own New Year's party can get exhausting quickly. My strategy is to make a few batch cocktails and allow guests to serve themselves. Winter sangria is one of my all-time favorites because you can make it and forget about it while you get the other pieces of the party prepared. Winter fruits are soaked in your favorite red wine for hours to add complexity and more flavor to the drink. 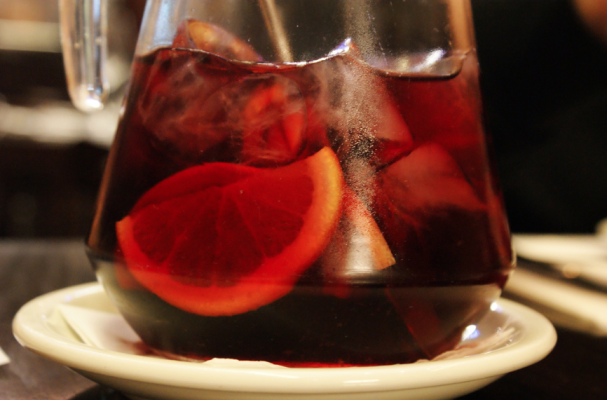 Sangria is not the best use of your vintage Bordeaux so stay with an affordable, drinkable red. Also, you can cut the drink with some ginger ale or sparkling water if you prefer a light sangria. Step 1: Prepare all the fruit and place it into a large pitcher. Pour the red wine over the fruit. Step 2: Stir in the sugar and cinnamon stick. Allow the fruit to marinate in the wine for 6 to 8 hours. Step 3: Remove the cinnamon stick before serving. Note: If you prefer your sangria chilled, you can place it in the fridge or serve it over ice. DO NOT place ice cubes in the cocktail as it will water down the drink. You can serve the winter sangria in a punch bowl sitting in a bed of ice as well.